While the first game of the season might have resulted in a win, the University of Wisconsin football team definitely had a rough start to their 2017 season. The first quarter of the game was a difficult one for the Badgers, both offensively and defensively. 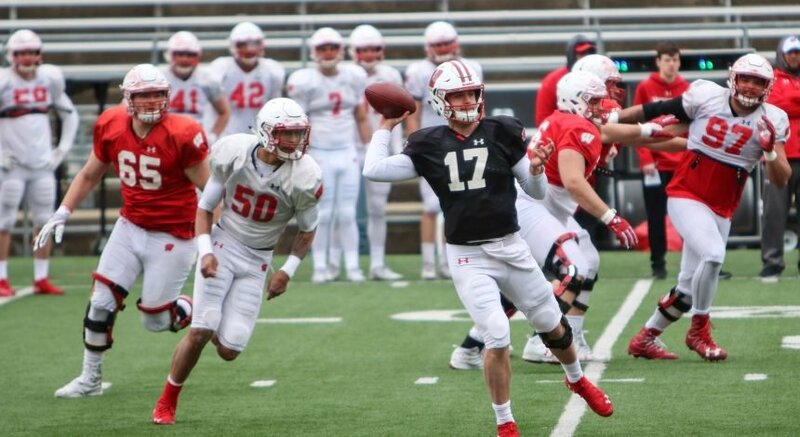 Wisconsin quarterback Alex Hornibrook was sacked twice during the first two drives, and an ill-timed fumble gave the Aggies a prime scoring position. Hornibrook was cautious, and the same quarterback that threw for 1,262 yards during his first season was now overthinking everything. Utah State made sure to capitalize on this, and caused Hornibrook to end the first quarter with an 18 yard loss and no scoring opportunities. It wasn’t just the offense that struggled during the first quarter. Wisconsin’s defense seemed to have issues working around the Utah State offensive line. Many plays that should have resulted in clean tackles instead wound up looking rather sloppy, with both Badgers and Aggies fumbling over one another. The second period, however, seemed to produce all of the right momentum for the Badgers, and Hornibrook seemed to be getting back into his stride. While some passes remained short and safe, UW switched from a mostly rush based game to a more balanced mixture of rushing and running the ball. It wasn’t just the offense that managed to find their footing during the second period. The Wisconsin defense, lead by T.J. Edwards and Chris Orr managed to turn the game around and began challenging Utah State more aggressively. 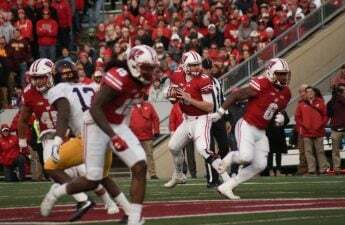 It was an interception by Edwards that would really turn things around for the Badgers. Once the excitement cleared, the 2016 Cotton Bowl winning team was back, and things seemed to become much smoother. The second half of the game was much closer to the kind of game that many expected this matchup to be. 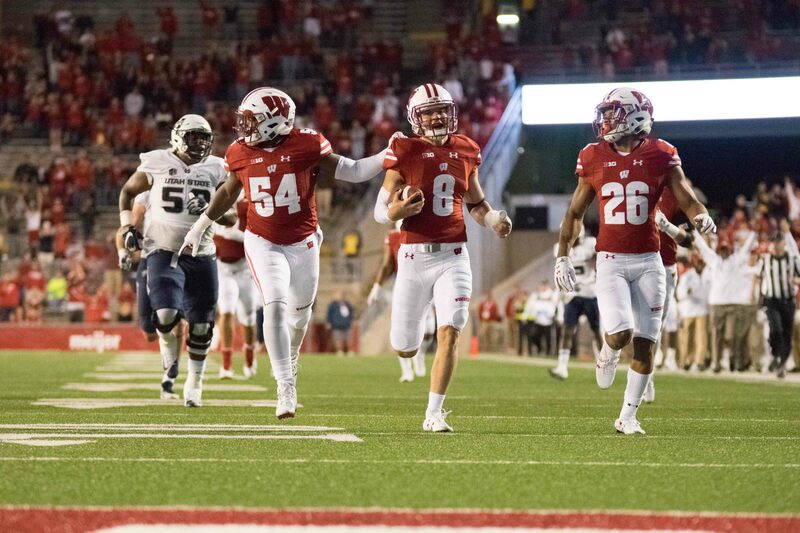 Once Wisconsin got the ball rolling, Utah State struggled to find a way to stop it, and the Badgers would quickly score three touchdowns in the third period alone. While the Badgers did wind up sweeping the Aggies, there are still clearly some issues that need to be resolved, and they need to be resolved before Big Ten season officially begins for the Badgers. Florida Atlantic shouldn’t offer much of a fight, so it will be down to the BYU matchup Sept. 16 to determine if Wisconsin truly has gotten all of the kinks out of the system. 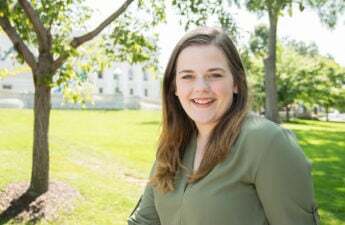 “[Cichy] means the world to this team. He’s a leader and he’s played a lot of football. [I was looking for] anyway that I could respect him.